The 10181 3 Pc Adjustable Pub Table Set consists of:Mfg SkuItemQtyDepthWidt..
122331+122332*2 3PC SETS DINING TABLE + 2 DINING CHAIRSWood Finish RICH BRO..
123001+02*2 3PC SETS DINING TABLE + 2 DINING CHAIRSWood FinishPALE ALEWood .. Finish Color DARK TOBACCOWood Finish TOBACCOMetal Finish TEXTURED BLACKDesc.. Finish ColorDARK BRONZEWood FinishGREYDescription	Width	Depth	HeightSTOOL	..
190821+190822*2 3PC SETS DINING TABLE + 2 DINING CHAIRSWood Finish CAPPUCCI..
A regal design for a regal living space is provided with this selection of .. Try this tri-level 3-piece coffee table set for size. It features three tie..
A design of luxury and art, this 3-piece coffee table set features marble f.. This 3-piece coffee table set feature square shaped glass tabletops with si.. Item Number : 06174Feature : 3PC PACK C/E TBL SET FOR 5555Dimensi.. Item Number : 09652Feature : 3PC PACK COFFEE END TABLESDimension ..
3PC PK DINING TABLE/STOOL SET71655DIMENSION: T:30"Wx48"L,B:39"x15"x18"HFEAT.. Item Number : 45000Feature : 3PC PACK BISTEO SETDimensions : .. Item Number : 45005Feature : 3PC PACK BISTEO SETDimensions : .. Product Details6079 Alpine Furniture 6079-05 Caldwell 3PC SETS Kitchen Cart..
3PC PK COUNTER HEIGHT SET70540DIMENSION: T:22"Wx32"Lx36"H,Stool: 24"S.HFEAT..
3PC PK COUNTER HEIGHT SET70560DIMENSION: T: 36"Dia x 36"H, Chair: 24" sFEAT..
3PC PACK COUNTER HEIGHT SET71560DIMENSION: T:20"x35"x35"H,Stool:24"HFEATURE.. Item Number : 71665Feature : 3PC PACK DINING SETDimensions : ..
71990+71992*2 3PC SETS BAR TABLE + 2 BAR CHAIRSItem Number : 71990Feat..
72030+72032*2 3PC SETS BAR TABLE + 2 BAR CHAIRItem Number : 72030Featu..
72375+72377*2 3PC SETS BAR TABLE + 2 BAR CHAIRSItem Number : 723..
72375+72378*2 3PC SETS BAR TABLE + 2 BAR ARM CHAIRItem Number : ..
72380+72382*2 3PC SETS KAESO BAR TABLE + 2 BAR CHAIRSItem Number : 723.. Item Number : 72520Feature : 3PC PACK COUNTER H. DINING SETDimens..
72535+72537*2 3PC SETS COUNTER HEIGHT TABLE + 2 COUNTER HEIGHT CHAIRS..
72545+72547*2 3PC SETS COUNTER HEIGHT TABLE + 2 COUNTER HEIGHT CHAIRSItem N..
72900+72902*2 3PC SETS DINING TABLE + 2 BENCHSItem Number : 72900Featu.. The perfect greeting set for an entrance, this three-piece chair and table..
Atwood 3-Piece Counter Height Dining Set 2505BK-36At home in a kitc.. Item DescriptionThis space-saving three-piece bar set with a lovely look wi.. 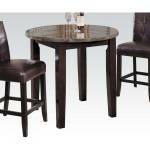 The Bar Units and Bar Tables 3 Piece Bar Table with Glass Top Set consists .. The Bar Units and Bar Tables Bar Table and Stool Set consists of:Mfg SkuIte.. Item DescriptionThe Bar Units and Bar Tables Pub Table consists of:Mfg SkuI..
BOZEMAN 3 PC TABLE SET (COFFEE + 2END) CM4102-3PKSimple yet detailed, this .. Item Number : 06152Feature : CHERRY 3PC C/E TABLE W/GL TOPDimensi.. Item Description Rewind time and create an entertaining dining..
An elegant set that will surely create focal point in your living area. Two..
Greet your guests into your home with this lavish three piece set. The gold.. Traditional in appearance, this chair three piece set has a creative flair,..
Just because you don't have the most space in the world doesn't mean you ca.. Item Description This three-piece table and chair set is a per..
Dinettes Casual 3 Piece Table & Chair Set 130006Part of the Dinettes Co..